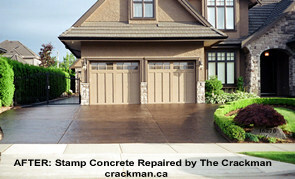 "CALL GAYNES THE STAMP DOCTOR" at 604-690-7030.
patios, sundecks, stairs and walkways. after 2 colour custom tint applied. 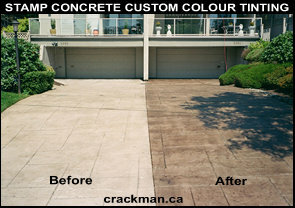 Our concrete restorations and our custom colour concrete tinting and sealing exceed our Customer's expectations for quality - at affordable prices. We offer Free Estimates and top-quality work at reasonable rates.